Fairly mild to medium chillies with an good flavour. Plants start cropping when fairly small, but continue growing to make a medium sized bush by the end of the season. 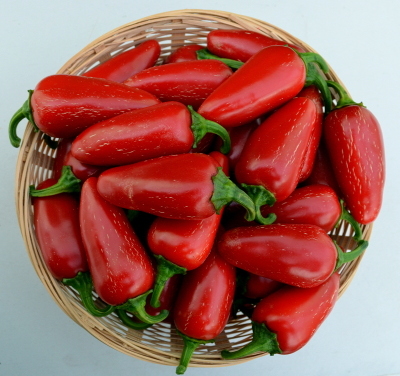 One of the most popular, easily grown and versatile types of chilli; many variants hve been bred which produce chillies which are larger, milder, earlier or different in some other characteristic. Jalapeños often exhibit small longitudinal splits in the skin. These are typical of the cultivar and considered to be a sign of quality. Traditionally eaten green, but equally good when ripe. 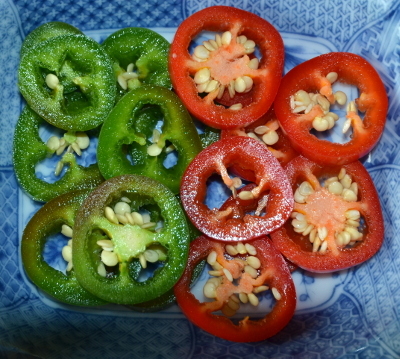 Unripe chillies are sliced crosswise into discs (including the core) and served as a side dish to curries, Mexican dishes, etc. 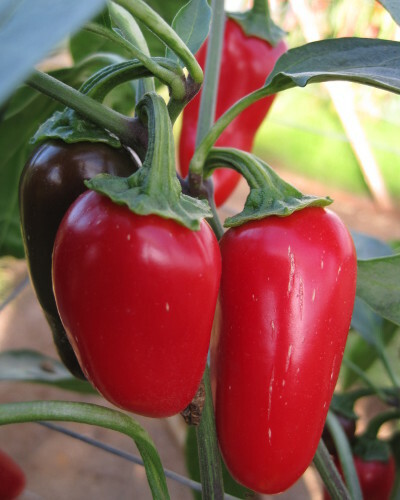 Ripe chillies can be stuffed and deep fried or split lengthways, de-cored and char grilled. In Mexico, ripe Jalapeños are smoke dried to make chipotles. These are used many ways in Mexican style cooking, often being ground to make chipotle powder. The Jalapeños are reduced to about one tenth of their original weight by the smoking, and the intensified flavour combined with the smokiness creates one of the highlights of chilli cuisine.